Drug possession is one of the most common forms of criminal charges that people in the United States face today. Possession of controlled substances is a severe crime involving possession of drugs. Drug possession is often established during investigation for other crimes. For instance, if you are stopped for DUI, and drugs are found on the deck of your car, you can be charged with possession of controlled substances. All states prohibit the possession, manufacture, and sale of certain controlled substances such as ecstasy, cocaine, etc. ; so, if you are caught with possession of any of these, you might be in real trouble. 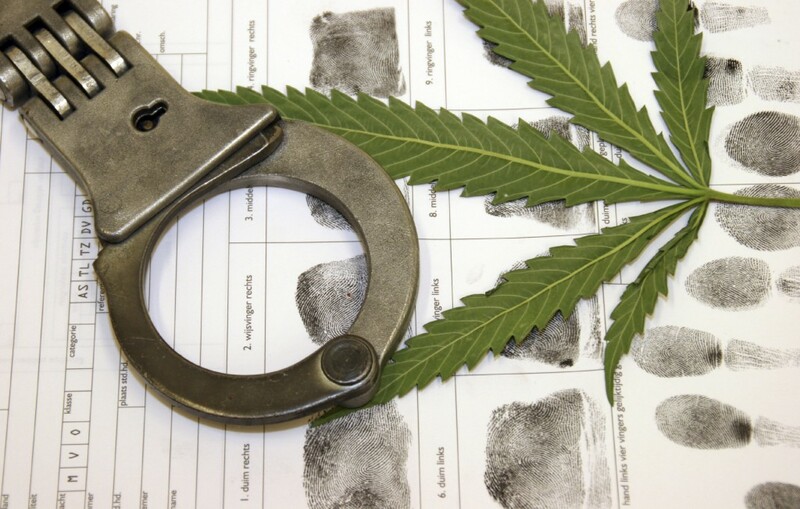 Thousands of people get arrested across the U.S. for drug possession; however, many of these charges are related to very small amounts of controlled substances. If you have been charged with drug possession, a criminal defense lawyer can defend you and lower the penalties of drug possession. Is Drug Possession a Felony? Type of drug: Possession of some drugs is considered to be more serious than others. For instance, possession of marijuana is often classified as a misdemeanor, while possession of crack cocaine is considered to be a felony. Amount: Ideally, the higher the amount of drug possessed, the higher will be chances of being charged with a felony. Under many state drug laws, possession of drugs over a certain amount will shift the charges from a misdemeanor to a felony. Intent of possession: Possession of drug with intent of distribution is considered a felony, whereas possession with intent of personal use is considered to be less serious. For some states, the age of the offender and previous criminal history can also be considered as a determining factor. So, if you have been charged for drug possession, it is a must that you contact a reputed criminal defense law firm and get yourself freed of the charges. Defense of a person caught with possession of drugs is often difficult, but it is not absolutely impossible. A seasoned criminal defense lawyer will know exactly how to defend his/her client to get the case dismissed, or at least reduce the penalties and jail time. One of the most common defenses for drug possession is ‘the violation of the Fourth Amendment rights’ of an individual. If the police searched your home or car forcefully (without your consent) or without a search warrant, the court can dismiss the case on grounds of unlawful search. Moreover, if the drugs are not in plain sight, then a legal search warrant is necessary in order to search your personal properties. In case the police fail to do so, the evidence collected becomes inadmissible. Being charged with drug possession does not require the drug to be in physical possession. If the drug is found in a common area, then everyone present there could be charged for the drugs. However, your lawyer will be responsible to prove that the drugs did not belong to you. For instance, if the drugs were found in the car, a criminal defense lawyer might ask the prosecution to prove that the drugs obtained actually belonged to his/her client, and not to the others travelling with the client. If the prosecution fails to prove, your case will be dismissed. Whether you will be convicted for drug possession or not depends on how it was intended to be used. Drugs such as marijuana, barbiturates, etc. are often used for treating various physical and mental conditions, such as anxiety, cancer-induced nausea, etc. Depending upon the amount of drugs found, your lawyer can try to prove that the drugs were possessed due to medical reasons. Drug possession cases are often the most scientifically and legally challenging cases, so only a seasoned criminal lawyer specialized in drug possession cases will be able to clear the clients of their charges. Possession of drugs is a serious crime under the state and federal laws, and it can lead to severe penalties. If you have been charged for drugs, it is necessary that you get immediate legal counsel, since only an experienced criminal defense lawyer can help you get rid of the charges or lower the penalties. Even if you think the crime is a misdemeanor and you can easy get out of it, it is best to talk to a lawyer before taking any further steps. Elizabeth Stepp is Senior Counsel at Oberheiden Law Group PLLC, one of the leading criminal law firms in Dallas, Texas. She graduated from the prestigious Yale Law School. She has much experience in dealing with financial services litigation and professional malpractice cases.